Increase in greenhouse gases has caused generalized global warming, mainly from the mid-1970s in the Southern Hemisphere. It is expected that these temperature trends will be intensified at the end of the 21st century, affecting threatened forest ecosystems such as hotspot biomes . Among the most threatened forest ecosystems in South America are the Brazilian Atlantic Forest (BAF) and Chilean Mediterranean Forest (CMF) (Figure 1 and 2). The BAF is a plant vegetation formation present in a large part of the Brazilian coastal region, but due to urban occupation and the exploitation of its wood resources, it currently occupies about 11-16% of its original forest cover. CMF has a similar history to the one of MAB since this region suffered great deforestation by exotic tree plantations, agricultural activities, fires, and urban and industrial sprawl. Studies on forest dynamics have become important in threatened biomes because they allow us to know how the natural growth variability of forest trees species has been and how they would react to possible environmental changes. In this sense, dendrochronology (tree-ring analysis) allows us to evaluate forest growth and its association with the climate at different spatial and temporal scales . A major advantage of dendroecological studies is the analysis of tree growth rate over time compared to studies of permanent plots that have averaged 20 years. It is considered that the climate best explains the trees’ growth at the cellular level (seasonality of vascular cambium), which can be extrapolated for forest stands. The vascular cambium is the lateral meristem tissue responsible for trunk diametric growth (secondary growth) of the trees, which is activated by macro- and microclimatic factors present at the site where trees are growing, forming wood (xylem) with distinct anatomical features. Therefore, it is fundamental to study the growth dynamics and climatic response of trees in the Brazilian Atlantic Forest and Chilean Mediterranean forest, which will be useful for projects of conservation, ecological restoration, and mitigation against global warming in those ecosystems. The present research focuses on the information provided by the dendrochronological data in these two South American threatened biomes, aiming to understand their growth response to climate changes by using bioindicator species (i.e. trees species with dendrochronological potential). 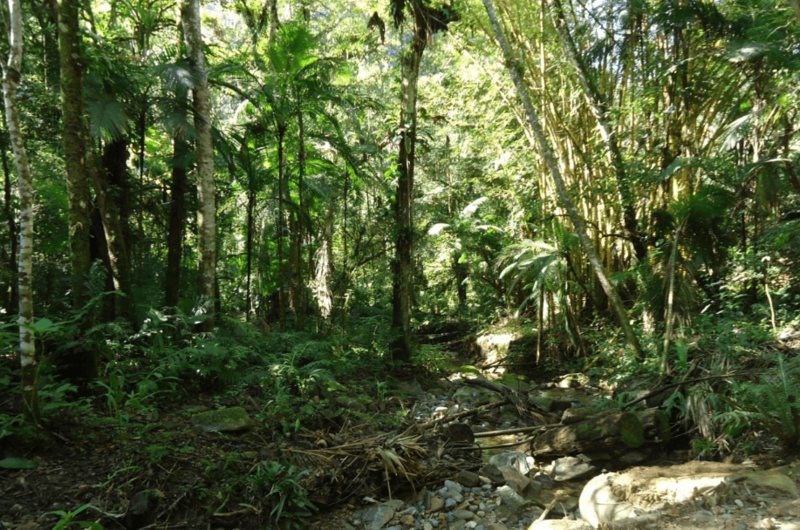 In the BAF, we selected five sites of Cedrela fissilis and C. odorata (cedar) located along the Atlantic forest, subregion “Serra do Mar” (22º-24ºS). In the CMF, we selected five sites along the whole geographic distribution of N. macrocarpa (oak) in central Chile (32.5-34.5°S). Correlation and regression analysis were used to explore the relationship between tree growth and rainfall, air temperature, and a drought index. Considering that: (i) the study regions are being affected by changes in climate variability in recent decades, especially by increased drought conditions since the 1970s (Allen et al. 2010); (ii) those that were selected were populations of cedar (BAF) and oak (CMF) along biogeographic gradients, so the climate-growth relationships should be different (Fritts 1976); we define two key questions: 1) Are there biogeographic differences in the sensitivity of tree growth to climate? and 2) Is there some decline in forests in the last decades associated with climate change or is the growth resilient to recent climate changes? In the BAF, the results showed that there is a difference in the climatic sensitivity of the population at higher altitudes in relation to the other sites, a fact that seems to be associated with the climatic gradient that is evident during winter and summer. The highest site received less rainfall during the end-fall/beginning-winter (May to July), which would negatively influence the growth sensitivity to water conditions in this season. Moreover, the highest site, characterized by mild temperatures during summer, showed positive correlations between the ring width chronology and drought index during the current year of growth. In addition, we observed a positive linear trend of temperature (June to August) from 1990, which caused a significant decrease in the tree growth, again, only in the highest-altitude site. In the CMF, we did not observe a biogeographic difference in sensitivity of tree growth to climate variability (unlike in the BAF). N. macrocarpa growth was positively influenced by May to November precipitation (austral winter-spring seasons) and negatively influenced by the temperature from October to December (austral spring/early summer seasons). We also identified a significant decrease in growth in all populations from 1980 onward that resembled a precipitation decline and temperature increase in central Chile during the same time period. We conclude that recent climate change has produced a decline in radial growth of all populations of N. macrocarpa in the last decades in the CMF, while apparently the highest population of Cedrela spp. would be the most affected in the BAF. These results are crucial to understanding how present and future global change may differentially impact tree population dynamics of Neotropical forests, especially these endemic and endangered forest ecosystems. 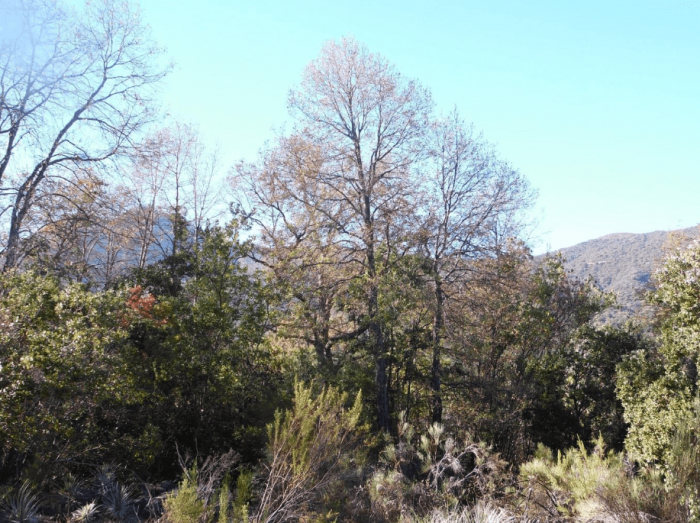 These findings are described in the article entitled Recent radial growth decline in response to increased drought conditions in the northernmost Nothofagus populations from South America, recently published in the journal Forest Ecology and Management. These findings are also described in the article entitled Drought and climate change incidence on hotspot Cedrela forests from the Mata Atlântica biome in southeastern Brazil, recently published in the journal Global Ecology and Conservation. Allen CD, Breshears DD, McDowell NG. On underestimation of global vulnerability to tree mortality and forest die‐off from hotter drought in the Anthropocene. Ecosphere. Wiley Online Library; 2015;6: 1–55. Alejandro Venegas-González is a researcher at Centro de Observación de la Tierra – Hémera and professor at Forestry School, Universidad Mayor. I am interested in investigating how forests respond to climate change, mainly in Mediterranean forests of South America.